Originating in the East thousands of years ago, acupuncture looks at health in an entirely different manner than typical Western medicine. The theory focuses on various energies in the body that can become out of balance and seeks to correct these problems through stimulation of specific points. The process is not painful, and points can be found for virtually any condition. 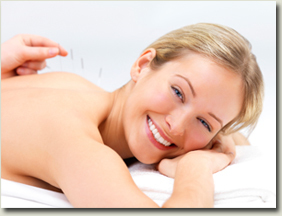 Here, we use acupuncture as an adjunct treatment for those already under chiropractic care.